Fans to the Grand Prix Season Singapore will be able to catch Boy George, a Grammy-award winning performer & DJ from England, and also Shakira, also a Grammy-award winning music artist from Colombia. 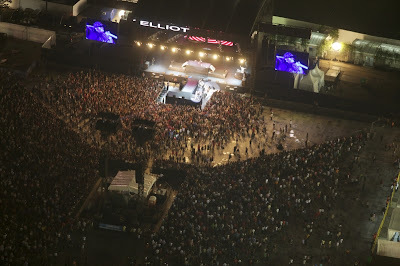 Both will be performing at the Grand Prix Season Singapore on September 24, 2011 (Saturday), the day before the Formula 1 race day. Boy George (born George Alan O’Dowd) is a British singer-songwriter who became very popular in the 80’s for his greatest hits like “Karma Chameleon,” “Do You Really Want To Hurt Me,” “It’s a Miracle,” “Somebody To Love Me.” He was a member of the group Culture Club. He was born on June 14, 1961, the same birthday as mine but I was born 16 years later after him. Zone 1 ticketholders can watch this show at the Village Stage (in Zone 1) on September 24, 2011, the day before the Formula 1 Race competition. Formed in the early 1980s, Culture Club is a British rock band whose music was classified as new wave, has a blend of reggae, calypso, salsa, country and/or pop-rock. 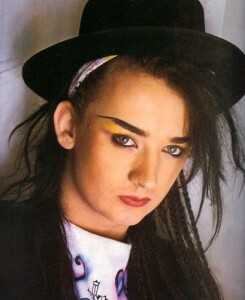 The group was composed of Boy George (lead vocals), Mikey Craig (bass guitar), Roy Hay (guitar & keyboards) and Jon Moss (drums & percussion). The band’s first album was released in 1981 and the group ended working together in 1986. 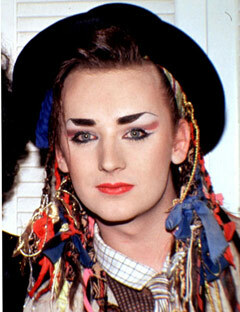 I grew up listening to the songs of Boy George in the air waves in the 1980s and they were surely a hit! Some people would just impersonate him and the way he styled his outfits in different local TV variety shows in the Philippines, like That's Entertainment, GMA Supershow, Sa Linggo Na Po Sila, A.S.A.P., S.O.P., etc. Be ready as Shakira heats up the concert stage with her powerful performance at the Padang main stage (Zone 4) on September 24, 2011. Shakira Isabel Mebarak Ripoll (her real complete name) is a Colombian singer, songwriter, musician, record producer, dancer and philanthropist who already started making a name for herself in the early 1990s. She was born on February 2, 1977, the same year I was born. Shakira’s worldwide smash hits include “Whenever, Wherever,” “Hips Don’t Lie,” and her latest dance hit, “Waka Waka.” Her music can be classified as a mixture of folk, mainstream pop and rock. In an interview with Rolling Stone she said: "My music, I think, is a fusion of many different elements. And I'm always experimenting. So I try not to limit myself, or put myself in a category. [I just want] be the architect of my own jail." Since Shakira’s native language is Spanish, she considers writing songs in English very challenging. “I didn't want other songwriters to write for me. I wanted to preserve the spirit of my songs in Spanish,” she said. The Colombian star will be performing English & Spanish songs from her latest albums She Wolf and Sale El Sol (The Sun Comes Out). 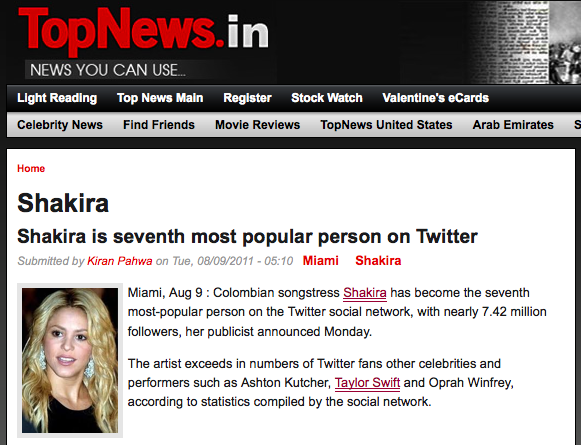 According to TopNews.in, Shakira is the 7th most popular person on Twitter with nearly 7.42 million followers (as of August 9, 2011, the time of posting the announcement). The artist has exceeded the numbers of Twitter followers of other celebrities such as Ashton Kutcher, Taylor Swift and Oprah Winfrey. [7 is my favorite number]. Tickets are priced from S$118 for a Saturday single-day Zone 4 Walkabout ticket to S$1,288 for a 3-day Turn 1 or 2 Grandstand ticket. 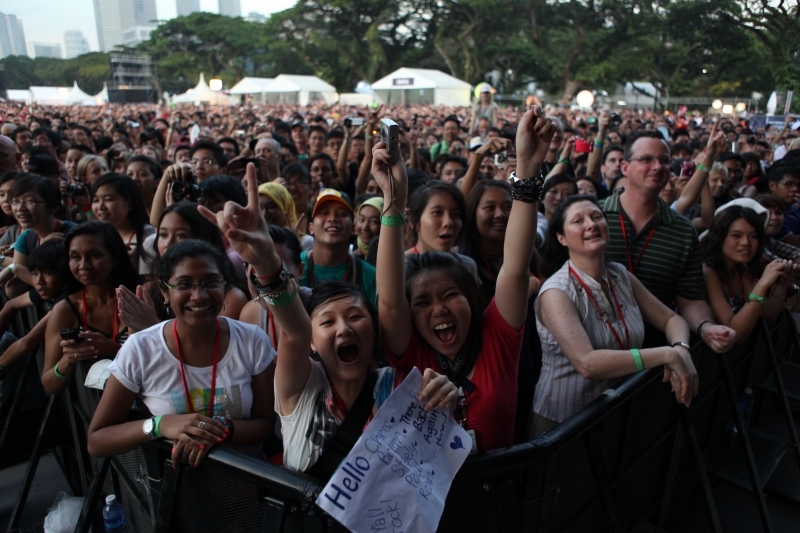 All tickets allow fans access to the Padang main stage in Zone 4. 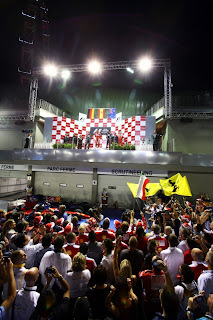 “Building on the glamour of the only Formula One night race, we’ve packed all three days with an extensive entertainment programme featuring the biggest namesin music, stunning theatrical-visual productions, retro showcases and electrifying parades,” remarked Michael Roche, Executive Director of Singapore GP Pte Ltd. If you want to catch Boy George and Shakira in the Singapore Grand Prix, head on to Singapore Airlines and check for special packages to book your plane tickets. 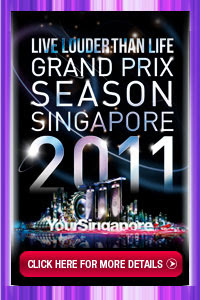 Click to know more about Grand Prix Season Singapore's Live Louder Than Life. Click to purchase your FORMULA ONE tickets. Click to check out special air fare packages for the Grand Prix Season Singapore. Click to know more information about the Grand Prix Season Singapore.